Aim: To compare the effects of classical micro discectomy applications and endoscopic epidural laser decompression on the patients' visual analogue scale values and complications occurring in patients with discogenic back pain. Materials and methods: The files of 79 patients in the classical micro discectomy applications group with discogenic back and leg pain and 54 patients in the endoscopic epidural laser decompression group were retrospectively analysed. Demographic data, complications and visuel analogue scale values of the patients were recorded at the preoperative and postoperative 1st week, 1-6 months and 1-2 years. The values were recorded for the two groups and the efficacy of the methods were compared. Results: The mean postoperative visual analogue scale values in both groups were below 5 for 2 years. Lumbar pain was significantly higher in classical micro discectomy applications group and discitis was significantly higher in the endoscopic epidural laser decompression group. Conclusion: There was no statistically significant difference between the visual analogue scale values of the patients in both groups. Lumbar pain was significantly higher in classical micro discectomy applications group and discitis was significantly higher in the endoscopic epidural laser decompression group. More than half of adults complain of low back pain at least once in their lifetime [1,2]. Low back pain is a common cause of admission to the hospital [2,3]. Acute low back pain in most patients heals within the first 2 months without treatment; however, for few patients, it becomes chronic despite medical treatment [3-5]. Open surgery and spinal instrumentation have been the traditional treatment modalities for discogenic pain for many years. The clinical success rate in the early postoperative period after open surgery is 95% to 98% and recurrence rate is 2% to 5% [6,7]. Inadequate physiotherapy secondary to the healing of epidural injuries leading to leg and low back pain and secondary to fibrosis in the post-operative period decreases surgical success rate to 80% in subsequent follow-ups [7,8]. In classical micro discectomy applications (CMA), the paravertebral muscles are peeled off from where they adhere to the spinous process. Therefore, there is pain owing to muscle trauma in the early post-operative period. This increases the need for post-operative analgesics. Cheng et al. argues that thermal annuloplasty is reliable and effective in the treatment of carefully selected patients with single-level discogenic lumbar pain . Endoscopic epidural laser decompression (EELD) enables herniated disc ablation with laser or forceps, similar to interference gain from the sacral hiatus. This procedure is typically accompanied by a holmium: yttrium-aluminum-garnet (Ho: YAG) laser [10,11]. Many articles on EELD have reported that the Visual Analogue Scale (VAS) is an important tool of measurement in the assessment of pain [12-14]. Herniated intervertebral disc is associated with radiculopathy and low back pain in patients . Ruetten et al. treated chronic back and leg pain syndrome with epiduroscopy-guided Ho: YAG laser intervention (n=93) and reported 45.9% positive results postoperatively . In this study, we aimed to compare the effects of CMA and EELD on the VAS values and complications in patients with discogenic low back and leg pain owing to protrusion, extrusion, sequestration, or bulging. After the approval from the local ethics committee of Gazi Yaşargil Education and Research Hospital of the University of Health Sciences in Turkey, the data from the patients who applied to the neurosurgery outpatient clinic between January 2013 and January 2016 were screened, and the patients with leg pain more severe than low back pain (assessed via the Lasegue’s sign, Bragard’s sign, femoral nerve stretch test, Naffziger’s test, and Cram test positive), with disc protrusion, extrusion, sequestration, or bulging in their MRI, who underwent CMA (n=79) or EELD (n=54), were retrospectively evaluated. All patients who were treated with CMA and EELD were informed about the procedure and complications before the procedure. The patients were also informed about VAS evaluation and written informed consent was obtained from the patients. Age, gender, neurological examination findings, level of disc with bulging, extrusion, sequestration, or protrusion (via clinical and MRI findings), and VAS were used to evaluate radiculopathic pain level matching the disc level, and the arising complications were recorded. It was seen that cases with no signal loss (black disk) in MRI imaging of patients with clinical findings (sagittal T1A and T2A as well as axial T2A), with >10 mm of disc height and bulging, extrusion, sequestration, protrusion or annular rupture that could cause radiculopathy, were evaluated for the procedure. • Leg and lumbar pain with non-extraspinal disc origin (pelvic and femoral tumors, sacroiliac dysfunction, piriformis syndrome, sacroiliitis and seronegative spondyloarthropathies, non-sciatic nerve entrapment neuropathies in pelvis, myofascial pain syndromes, trochanteric bursitis, hip osteoarthritis, peroneal nerve compression, and maralgia paresthetica), and systemic infection or infection at the intervention area. • Leg pain more severe than low back pain (assessed via the Lasegue’s sign, Bragard’s sign, femoral nerve stretch test, Naffziger’s test, and Cram test positive). Before the study, it was confirmed that non-steroidal antiinflammatory, salicylic acid, and similar drugs that could lead to bleeding coagulation disorder were discontinued at the appropriate time, and combination of tramadol and paracetamol was started for the patients for whom analgesics were discontinued. It was seen that oral tramadol and paracetamol and thiocolchicoside were used postoperatively in the first 24 hours, and the drugs causing bleeding coagulation disorder were restarted at the appropriate time. Pre-operative low back and leg VAS values were recorded. It was seen that routine blood tests of the patients were confirmed before the procedure and the patients were accepted for the procedure according to the standard fasting protocol on the day of application. The patients were taken to the operating room on the day of the procedure, intravenous vascular access was established, and isotonic sodium chloride solution was started. One hour before the procedure, 1 g cefazolin was intravenously administered. The patients were taken to the operating table in the prone position and the lower abdomen was left empty to prevent venous fullness. All applications were performed under sterile conditions and with C-arm fluoroscopy. It was seen that CMA applications were made under spinal or general anaesthesia, whereas EELD applications were made under only infiltration anaesthesia and appropriate dose of sedoanalgesia. Based on the patient files, we observed that the CMA procedure was performed as follows: On the day of the operation, the patients were taken to the operating table and an intravenous catheter was inserted from the back of the hand and started from SF 100 ml/h. After the pre-op preparation, spinal anaesthesia or general anaesthesia in the supine position was induced, and the patients were intubated and moved to the operating table in the prone disc position. The procedure started after the necessary sterilization and covering. After the cutaneous and subcutaneous incision, the blunt dissection revealed the muscles. The Taylor spinal retractor was placed in the operation area, and upper and lower hemi partial laminectomy was performed using microscopic imaging. The excision of the ligamentum flavum was performed. Using root retractors, the root was retracted to the medial side. Ligament excision was performed with scalpel number 15. Displacement was performed with the disc forceps (Figure 1). Following haemostasis, the tissues were closed anatomically and the operation was concluded. Figure 1: Displacement was performed with the disc forceps. Based on the patient files, we observed that the EELD procedure was performed as follows: On the day of the operation, the patients were taken to the operating table and an intravenous catheter was inserted from the back of the hand and started from SF 100 ml/h. The patients were placed in the prone position, and a silicone pillow was placed under the abdomen to flatten lumbar lordosis and facilitate the intervention. The intervention area was readied for sterilization and local anaesthesia was applied using 2% lidocaine; 5-10 mm skin incision was made on the sacral hiatus, a 17-gauge Tuohy needle was entered into the sacrum, and a wire guide was placed. The dilatator was rotated over the wire guide and the layers were dilated. A steerable 3 mm video-guided catheter and a fiber Li Ho: YAG laser were implanted. Lateral image and needle placement (at the bottom of the target disc, in the posterior longitudinal ligament) were confirmed with fluoroscopy and epiduroscopy and with the help of a video image (Figure 2) (anterior epidural space). It was seen that anterior epidurogram was performed by giving 1-2 ml contrast agent and the pathology was outlined. Adhesiolysis allowed localization and anatomical appearance of the pathology. Bulging was reduced with 2.5 W (0.5 J, 5 Hz) increments using posterior longitudinal ligament (PLL) Ho: YAG laser. First, the fibre optic cable video was inserted into PLL (through the hole in the PLL) under the herniated intervertebral disc, and the decompression of the herniated disc was started with Ho: YAG laser 8 W (0.8 J, 10 Hz). It was understood that the nerve root decompression of the ruptured disc was later decompressed by epiduroscopic confirmation. The operation notes revealed that when the procedure was completed, the video was removed and the incision in the sacral hiatus was sutured. Figure 2: Fluoroscopy and epiduroscopy and with the help of a video image. The patients were taken to the post-operative care room after the procedure. The patients were monitored for one hour and neurological examinations were made. The patients were then taken to the neurosurgery service. The VAS values of the patients were recorded at week 1, month 1, month 6, year 1, and year 2 after the procedure. The efficacy of the procedure was evaluated by comparing the pre-op VAS values of the patients with the values at the week 1, month 1, month 6, year 1, and year 2. All arising complications were recorded. In this study, all statistical calculations were evaluated with the SPSS version 11.5 for the Windows package program. The Shapiro-Wilk test was used to check normality. The evaluation of the normally distributed data was done via parametric tests. The categorical data were defined as n (%). Comparison of the normally distributed data was done with One-Sample T test, and the data were presented as mean (± standard deviation). A P value of <0.05 was considered statistically significant for all data. Patient data with respect to age, duration of operation, duration of complaint, gender, level of intervention, presence of pre-operative and post-operative neuropathy, and image of disc in MRI are presented in Table 1. Table 1: Demographic data of CMA and EELD patients (Mean ± SD and n%). There was no statistical difference between the groups except for MRI images. Although the ratio of extruded and sequestered discs was higher in the CMA group, bulging was more frequent in the EELD group. The comparison of the VAS values is given in Table 2. There was no statistically significant difference between the CMA and EELD groups in terms of pre-operative VAS values. Table 2: Comparison of preoperative, post-operative 1st week, 1st month, 6th month, 1st year and 2nd year VAS values of CMA and EELD patients (Mean ± SD). There was a statistically significant difference between the VAS values recorded post-operatively at week 1 because the VAS values were significantly higher in the CMA group than those in the EELD group (Table 2). The VAS values recorded pre-operatively at month 1 were significantly higher in the CMA group than those in the EELD group (Table 2). When values recorded at month 6, year 1, and year 2 were compared, it was found that the VAS values were significantly lower in the CMA group than in the EELD group (Table 2). The comparison of the frequency of post-operative complications is presented in Table 3. When the patients were compared in terms of low back pain, the frequency of low back pain was significantly higher in the CMA group than in the EELD group (Table 3). Table 3: Comparison of postoperative complications in CMA and EELD patients (n %). When the patients were compared in terms of discitis, it was found that the distribution of discitis was significantly lower in the CMA group than in the EELD group (Table 3). Low back pain affects approximately 80% of the population at some point in their lives and is one of the most common causes of referral to healthcare institutions [15,16]. It is also a very significant health problem economically because of the workforce loss it causes and the expenditures for diagnosis and treatment; 80%–90% of patients suffering from pain are healed with conservative treatment, but 10% of patients develop chronic low back pain [17,18]. The recurrence rate during the 5-year follow-up is 60% for the patients who have been relieved of pain. The most important structures in the etiology of low back pain are intervertebral discs, facet joints, and sacroiliac joints. The idea that intervertebral discs have their own innervations and may cause intrinsic pain was first presented by Inman and Saunders in 1947 and reported in detail by Bogduk and Groen et al. [19-21]. Many surgical techniques, such as discectomy by laminectomy, micro discectomy, spinal fusion, and recently, disc prostheses, have been developed in the treatment of lumbar disc disease. The success rate after classic discectomy was reported to be 95% to 98% in the short term and the recurrence risk of disc herniation was reported to be 2% to 6% [7,15,22]. In the long term, the success rate decreases to 80% owing to the recurrence of disc herniation, epidural fibrosis, increase of spondylosis findings, and development of instability. In another study, in addition to the magnification and illumination of the surgical microscope, Scoville et al. 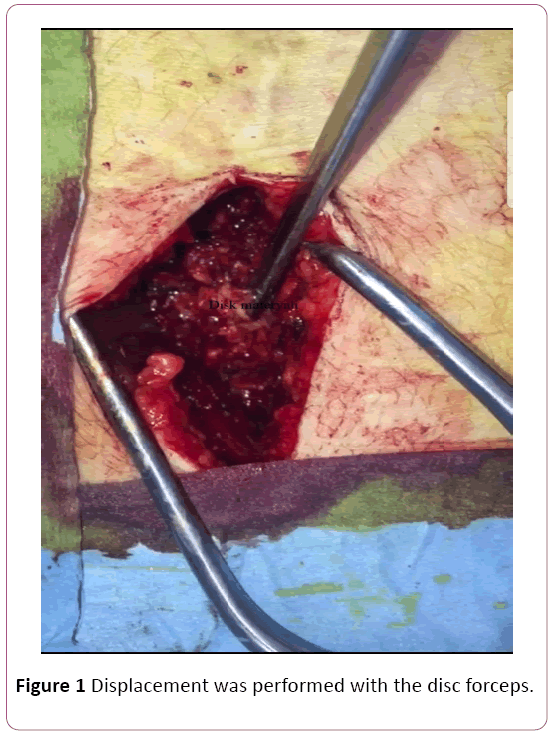 reduced post-operative complications owing to incision by achieving smaller incisions and less muscle retraction using the retractor systems they developed . In discectomy with classical microsurgery, the paraspinal muscles are separated from the tendinous insertions with the subperiosteal approach and retracted from the spinous processes. Paraspinal muscles are rich in proprioceptors and are injured owing to local ischemia when retracted . There is a correlation between postoperative pain and denervation and retraction ischemia . Spengler et al. studied 54 patients and found that patients who were very satisfied after open discectomy showed good results and had higher scores in the pre-operative period according to the scoring system created by neurological, psychological, sciatic stretching symptoms, and imaging studies [26-29]. In our study, we also performed discectomy with open microsurgery under a microscope and found that patients’ VAS values decreased in the 1st week. Park et al. showed that EELD is a good treatment option in carefully selected patients with disc-originated low back and radicular pain . In our study, the effectiveness of EELD was also demonstrated. We found that the VAS values decreased in the 1st week. Jo et al. showed that 85% of patients were satisfied with the EELD procedure . We found that the VAS values decreased in the 1st week. However, the VAS values measured at week 1, months 1 and 6, and years 1 and 2 were <5 for both CMA and EELD patients. The VAS values recorded at week 1 and month 1 were significantly lower in the EELD group, and we think that this was because of the paraspinal muscles not retracting. However, the VAS values recorded at month 6 and years 1 and 2 were found to be significantly lower in the CMA group. This suggests that CMA is more effective in the long term. Comparison of the complication frequencies is shown in Table 3. Low back pain was significantly more frequent in the CMA group than in the EELD group. This was also thought to be owing to retraction in the paraspinal muscles. Conversely, discitis was significantly higher in the EELD group. It was thought that this could be owing to heat generation by the laser. In conclusion, when discectomy by microsurgery and EELD were compared, it was found that the VAS values were <5 in both groups in the long and short term, but low back pain was significantly lower in the EELD group, whereas frequency of discitis was higher. The finding that total economic expenditure in the EELD group being much higher and the procedure taking longer suggests that CMA is a cheaper method that can be safely used in these patients and has results similar to those obtained by EELD. Izci Y, Apaydin O, Ozdem T, Cerrahoglu K (2003) The bony malformations of lumbosacral junction and sacrum: Case reports and literature review. Tohoku J Exp Med 201: 277-281. Izci Y, Taskaynatan MA (2004) Management of lower back pain in young Turkish recruits. Mil Med 169: 824-828. Nachemson AL (1992) Newest knowledge of low back pain: A critical look. Clin Orthop 279: 8-20. Taskaynatan MA, Izci Y, Ozgul A, Hazneci B, Dursun H, et al. (2005) Clinical significance of congenital lumbosacral malformations in young male population with prolonged low back pain. Spine 30: 210-213. Erdine S (2002) Interventional techniques in pain management. Ankem 16: 182-184. Erdine S, Ozyalcin NS, Cimen A (2005) Percutaneous lumber nucleoplasty. Agri 17: 17-22. Gangi A, Dietemann JL, Mortazavi R, Pfleger D, Kauff C, et al. (1998) CT-guided interventional procedures for pain management in the lumbosacral spine. RadioGraphics 18(3): 621-633. Cheng J, Zheng W, Wang H, Li C, Wang J, et al. (2014) Postero-lateral transforaminal selective endoscopic diskectomy with thermal annuloplasty for discogenic low back pain: A prospective observational study. Spine 39: 60-65. Ruetten S, Meyer O, Godolias G (2002) Application of holmium: YAG laser in epiduroscopy: Extended practicabilities in the treatment of chronic back pain syndrome. J Clin Laser Med Surg 20: 203-206. Ruetten S, Meyer O, Godolias G (2003) Endoscopic surgery of the lumbar epidural space (epiduroscopy): Results of therapeutic intervention in 93 patients. Minim Invasive Neurosurg 46:1-4. Lee SH, Lee SH, Lim KT (2016) Trans-sacral epiduroscopic laser decompression for symptomatic lumbar disc herniation: A preliminary case series. Photomed Laser Surg 34: 121-129. Jo D, Finch PM, Oh J (2016) Epiduroscopic laser neural decompression for removal of L2Ã¢ÂÂl3 Disc herniation in a patient with symptoms suggestive of L5 nerve root involvement. Pain Med 17: 1386-1388. Jo DH, Yang HJ (2013) The survey of the patient received the epiduroscopic laser neural decompression. Korean J Pain 26: 27-31. Andreula C, Muto M, Leonardi M (2004) Interventional spinal procedures. Eur J Radiol 50: 112-119. Peng B, Hao J, Hou S, Wu W, Jiang D, et al. (2006) Possible pathogenesis of painful intervertebral disc degeneration. Spine 31(5): 560-566. Singh V, Derby R (2006) Percutanous lumbar disc decompression. Pain Phycian 9: 139-146. Enthoven P, Skargren E, Oberg B (2004) Clinical course in patients seeking primary car efor back and neck pain: A prospective 5-year follow-up of outcome and health care consumption with subgroup analysis. Spine 29: 2458-2465. Bogduk NI, Windsor M, Inglis AD (1988) The innervation of the cervical intervertebral discs. Spine 13(1): 2-8. Groen G, Baljet B, Drukker J (1990) The nerves and nerve plexuses of the human vertebral column. Am J Anat 188(3): 282-296. Inman VT, Saunders JB (1947) Anatomicophysiological aspects of injuries to the intervertebral disc. J Bone Joint surg 29(2): 461-475. Rasouli MR, Rahimi-Movaghar V, Shokraneh F, Moradi-Lakeh M, Chou R (2014) Minimally invasive discectomy versus microdiscectomy/open discectomy for symptomatic lumbar disc herniation. Cochrane Database Syst Rev 4: 010328. Ulus A (2009) Lomber Diskektomi ve Laminektomi icin TÃÂ¼p Esliginde Mikrocerrahi. TÃÂ¼rk NÃÂ¶rosirÃÂ¼rji Dergis 19: 195-200. Brock M, Kunkel P, Papavero L (2008) Lumbar microdiscectomy: Subperiosteal versus transmuscular approach and influence on the early postoperative analgesic consumption. Eur Spine J 17: 518-522. Christie SD, Song JK (2006) Minimally invasive lumbar discectomy and foraminotomy. Neurosurg Clin N Am 17: 459-466. Yuan H, Xu JB, Wang H (2007) The clinical results of microendoscopic discectomy and conventional (LoveÃ¢ÂÂs) discectomy. Chinese Journal of Spine and Spinal Cord 17: 808-812. 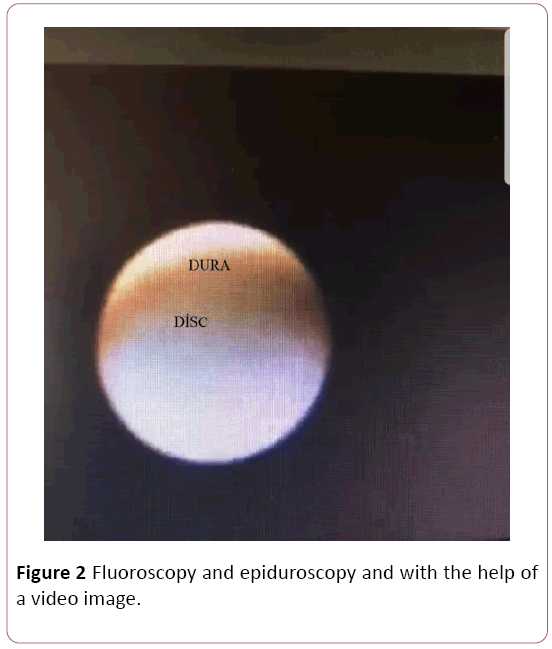 Hussein M, Abdeldayem A, Mattar M (2014) Surgical technique and effectiveness of micro-endoscopic discectomy for large uncontained lumbar disc herniations: a prospective, ran-domized, controlled study with 8 years of follow-up. Eur Spine J 23: 1992-1999. Mu, X Wei J, Peifeng L (2015) What were the advantages of microendoscopicdiscectomy for lumbar disc herniation comparingwith open discectomy: a meta-analysis?. Int J Clin Exp 8: 17498-17506. Spengler DM, Ouellete EA, Battie M, Zeh J (1990) Elective discectomy for herniation of lumbar disc. Additional experience with an objective method. J Bone Joint Surg Am 72: 230-237. Park CH, Lee SH (2017) Endoscopic epidural decompression versus transforaminal epiduroskopic laser annuloplasty for lumbar disc herniation: A prospective randomized trial. Pain physician 20: 663-670. Jo DH, Kim ED, Oh HJ (2014) The comparison of the result of epiduroscopic laser neural decompression between FBSS or not. Korean J Pain 27: 63-67.